Baby it's cold outside! But that doesn't mean you have to hibernate at home while your bored offspring bounce off the walls. Our family hasn't been to Go Bananas, yet, but we're heading that way, and we'll have a review and photo filled recap up for you shortly. In the mean time, we have a sweet discount coupon for you, from our friends over at Windy City Kids Guide, where they've listed ChiIL Mama as part of their blog network. Follow @ChicagoILkids and stay up to date on new coupons & events added to WindyCityKidsGuide. 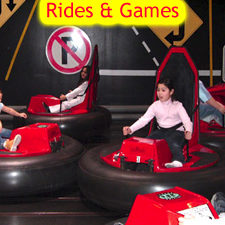 Go Bananas offers Chicagoland's most affordable, safe, clean, indoor family fun. Ride on our 6 kid sized rides. Climb on our four level climbing maze. Win prize tickets redeemable for great toys. 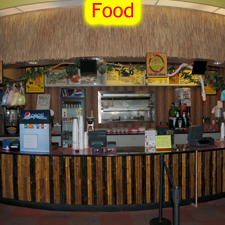 Enjoy fresh, hot pizza, wings and much more in our diner. 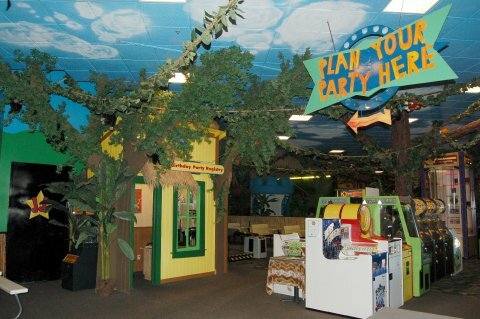 And of course experience KIDS' FAVORITE BIRTHDAY PARTIES in our huge party room, or request a private party room. Admission is always free and parents ride for free with their kids. Disclosure: This is a sponsored post and an exclusive offer brought to you by WindyCityKidsGuide. Thanks to Windy City Kids Guide and Go Bananas for providing ChiIL Mama with rides, tokens & food for review purposes. All opinions are our own.